Concordia Prep running back Jhymir Pearson tries to break free from Annapolis Area Christian’s Joey Dixon (4) during Thursday’s MIAA C Conference football match. Pearson scored a pair of touchdowns, lifting the undefeated Saints to a 24-6 decision in Baltimore County. Three years ago, Concordia Prep football was at a crossroads. Now, the Saints are on track for a championship. Concordia Prep defeated Annapolis Area Christian School, 24-6, in a MIAA C Conference contest in Loch Raven. Jyhmir Pearson scored two touchdown for the Saints, and Colin Glenn threw for a score and kicked a 34-yard field goal. Concordia (4-0 overall) led wire-to-wire, ending the reigning MIAA C champ Eagles’ nine-game winning streak. At 3-0 in league play, the Saints are in a favorable spot to reach the league final in November. The Saints didn’t field a team in 2016 after going 0-9 in 2015 (4-31 from 2012 to 2015). Concordia returned to competitive play last fall with an independent schedule, going 4-6. The Saints are definitely back after avenging a 28-6 loss to AACS (1-1, 0-1 MIAA C) last fall. Thursday’s statement win was far from a work of art for Concordia, which drew more than 12 penalties, seven coming in a drive that consumed all but seven seconds of the third quarter. Pearson barreled into the end zone for two yards out, pushing the Saints’ lead to 21-6. Concordia, whistled for seven holding penalties, got a 31-yard pass play from Glenn to senior Tyeler Buchanan on 3rd-and-33. Terry ended Annapolis Area’s ensuing drive with a sack on 4th down. Concordia got a 37-yard burst from Pearson to inside AACS’ 15 before settling for a Glenn 34-yard field goal, extending the lead to 24-6 with 4:07 left in regulation. After several penalties on its opening drive, Concordia took advantage of a roughing the punter penalty against AACS to keep its second drive going. After a shaky exchange with Glenn, Pearson got around the right side into the end zone for a 7-0 lead with 7:46 left in the first quarter. The Eagles answered on the next play from scrimmage as Jeremiah Taylor pulled down Ryan Idleman’s throw and broke free for an 80-yard touchdown. Glenn threw a strike across the middle to senior wide receiver Charles Byers, who out-raced AACS’ defenders for a 52-yard touchdown. Eagles coach Mike Lynn said Concordia has improved from last year. “They’ve done a great job of getting some football players. Physically, they look like a real good team, ” said Lynn. “They’re athletic and have a good staff and game plan. You put that together, that’s going to be tough to deal with. They’re going to have a bunch of success. 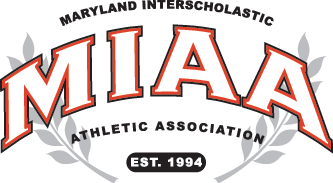 The Saints will travel to Odenton next month for the second go-around with AACS, with a possible third meeting in the MIAA C final in November. Next up, Concordia has non-league tests next up with MIAA A stronghold Calvert Hall College and last year’s B runner-up Severn School.